I want to just take a moment to send prayers and warm thoughts to all those impacted by the recent hurricanes throughout the south. It has been truly heartbreaking to see the devastation and upheaval so many are having to endure. The flooding aftermath is going to take those folks some time to recover from, so they certainly can use all the help that anyone is able to give. The people of Appalachia are also no strangers to the horrors of flooding, so we definitely know that the hurricane victims are in need of a tremendous amount of assistance right now. One year, long ago, my mamaw and papaw's Eastern Kentucky home flooded...and I've heard my whole life how the rising water started to float off a pot of beans my mamaw had cooking on the stove. Thankfully, all got out in time, and no one was hurt. But it took a long time to recover from the damage, and they lost quite a few possessions. Neighbors, fortunately, rallied around them to help...as is so common when tragedy strikes in the mountains. 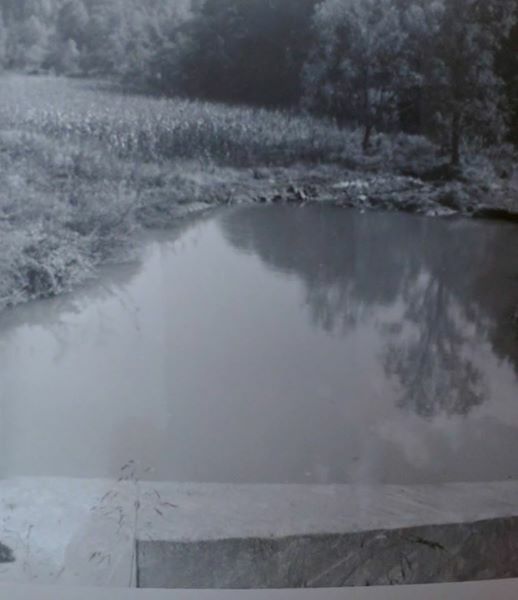 Rising creek waters (which usually amount to not much more than a trickle) years ago on my grandparents' farm. Let's all try to be good neighbors to Texas, Florida, and other affected areas right now. If you are able to give, please do. And even if you can't give, those people sure could use all our prayers right now! Well, we've been all about pawpaws around here lately. I guess I should reword that...I've been all about pawpaws! I'm the only one in the house who likes them. City Boy just can't seem to grow accustomed to their unique flavor. I jokingly tell him they are an acquired taste for refined palates! 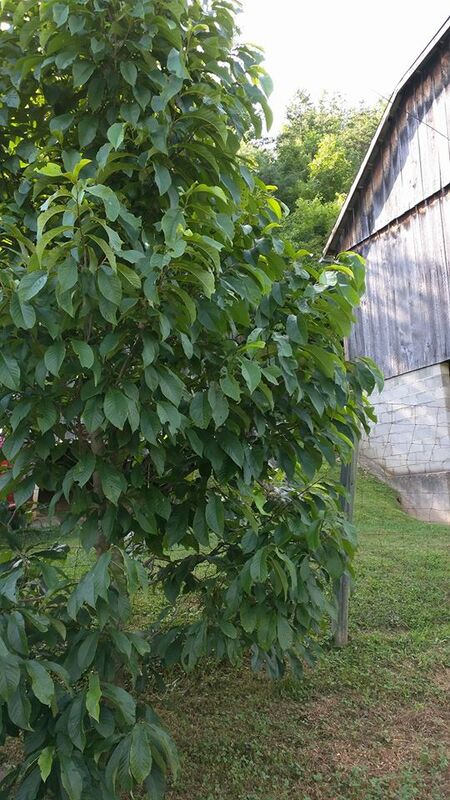 For a few years now, my parents have been successfully growing pawpaws in their yard from young tree sprouts they transplanted from Eastern Kentucky. (Just another way for them to keep a little bit of "home" with them while living in Ohio.) So I have been blessed enough to have a yearly sampling of these delicious fruits that have a long history of popularity in Appalachia and beyond. 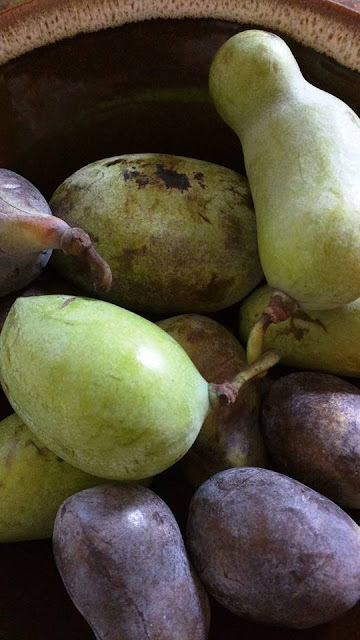 If you are not familiar with pawpaws, you can read more about this truly American fruit here from the University of Kentucky's Department of Horticulture, or here from Berea College's Grow Appalachia program. This year seems to be a pretty prolific year for pawpaws, as the number my parents passed on to me was higher than usual. 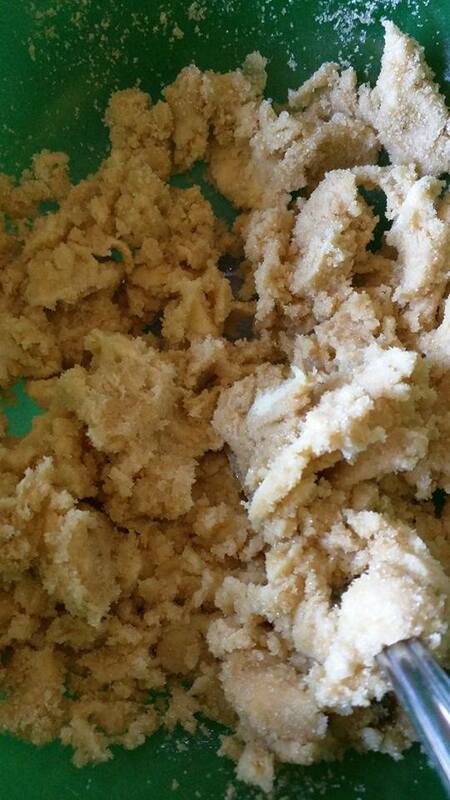 I found myself with an abundance of pawpaws that needed to be used up before they went bad. The fruit does not keep well, so when one ripens, there is just the least little bit of a window in which you need use it before it begins to spoil. 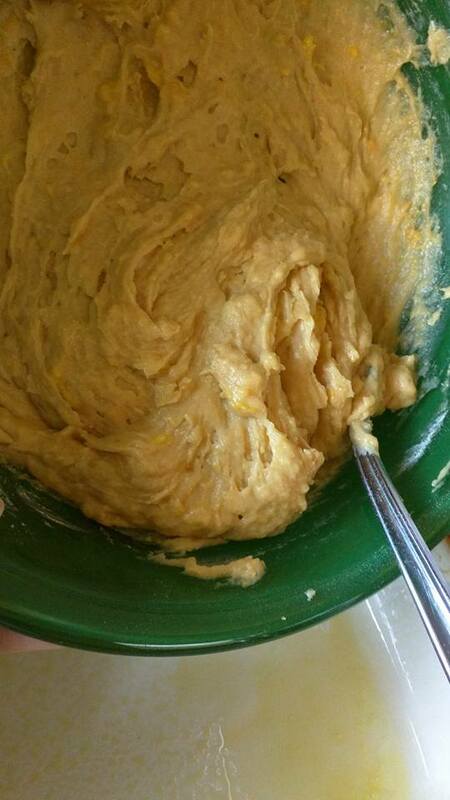 Since City Boy wasn't about to help me eat them, I decided I better come up with a pawpaw recipe pretty quick like! 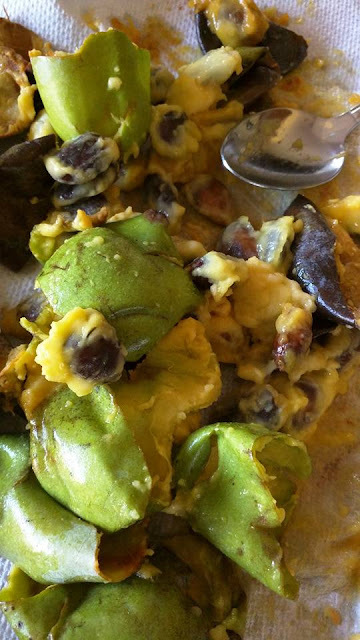 You can find a few pawpaw recipes online, but not an overabundance, so I opted to just create a recipe of my own. 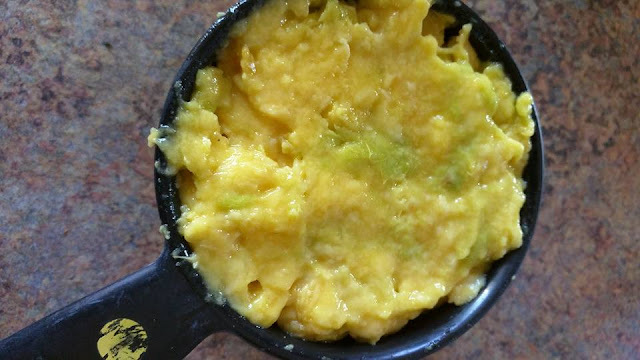 I really had no idea what to expect, as I had never cooked with pawpaw before. My whole life, I've really only ever eaten the fruit raw. 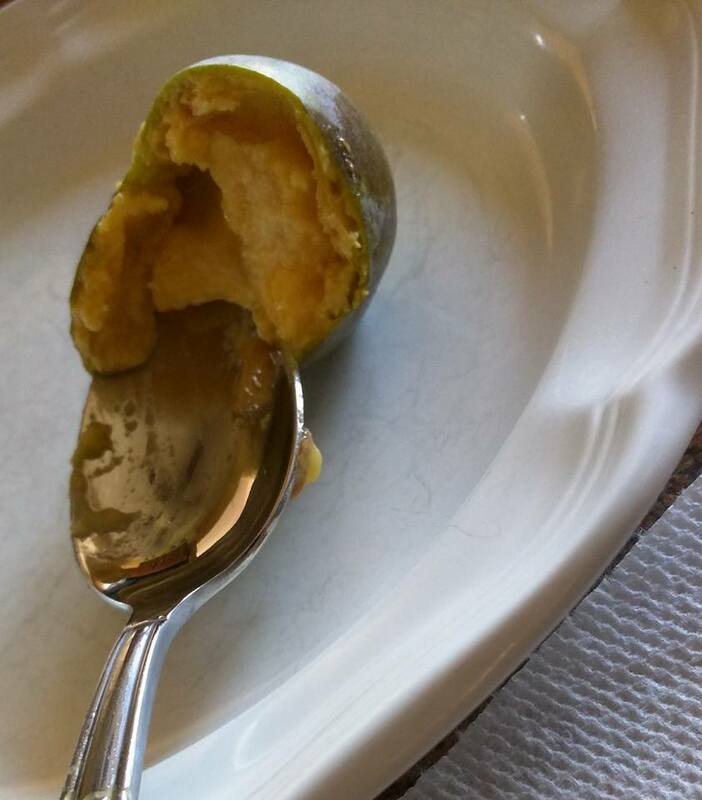 But after baking up my first pawpaw dessert ever...I am truly hooked! I LOVE how the recipe turned out...and can hardly wait until next pawpaw season to make it again! 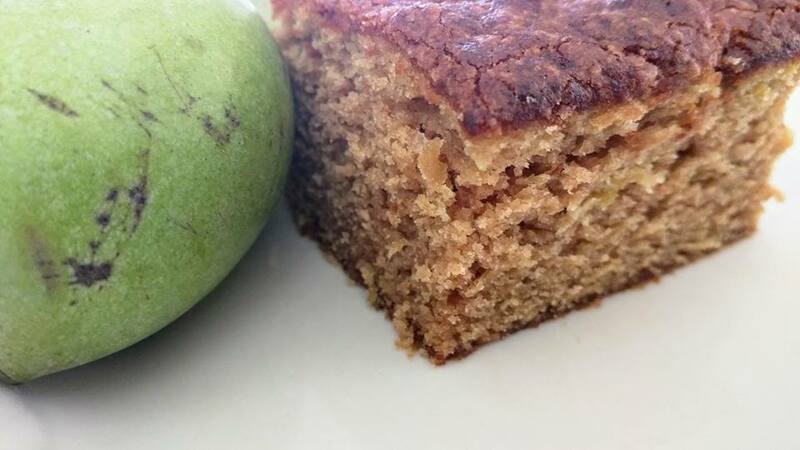 Appalachian food, such as pawpaws, has seen a surge in popularity outside of the region over the last couple of years. 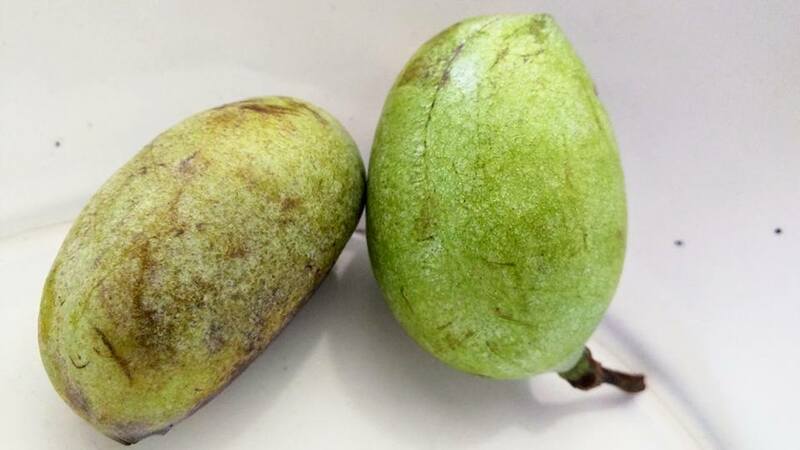 Pawpaws are certainly not exclusive to Appalachia but they have been far more associated with the southern mountains than most other regions. (Rest of the world must have just needed a little time to wake up and realize what's good to eat! Teehee!) And I got to experience first hand just how popular it really is becoming. You know it's getting popular when food trucks outside of the mountains start serving pawpaw dishes!! And this is exactly what I experienced. 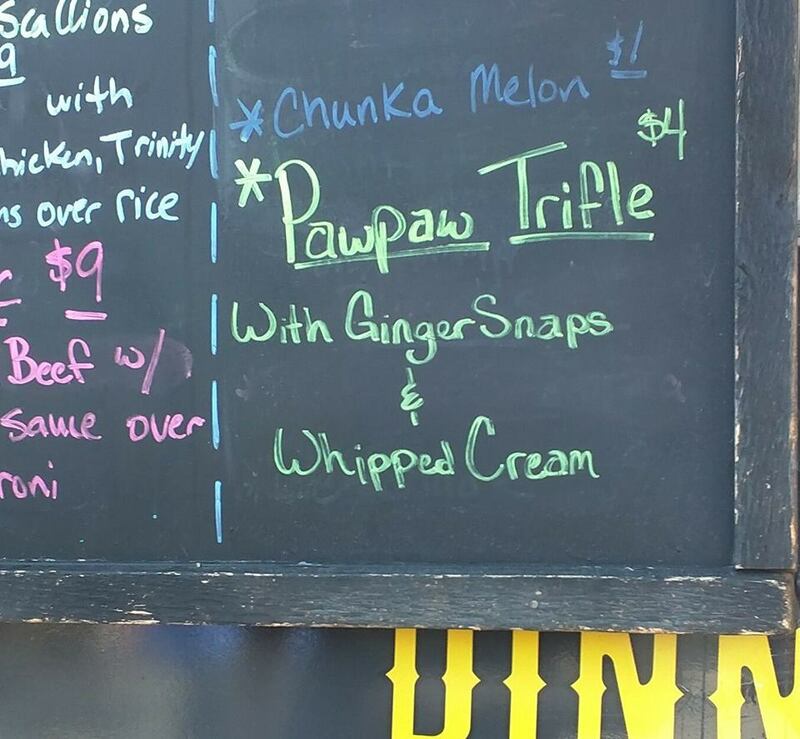 I had the pleasure of running across (and ordering from) a Central Ohio based food truck that happened to have a Pawpaw Trifle on its menu! The business is known as Sweet T's Southern Style Food Truck & Caterer...and I was tickled to death to see that they were serving up pawpaw anything! You can't get more southern Appalachian than that! Of course I HAD to order one of those Pawpaw Trifles...and no, I was not disappointed! 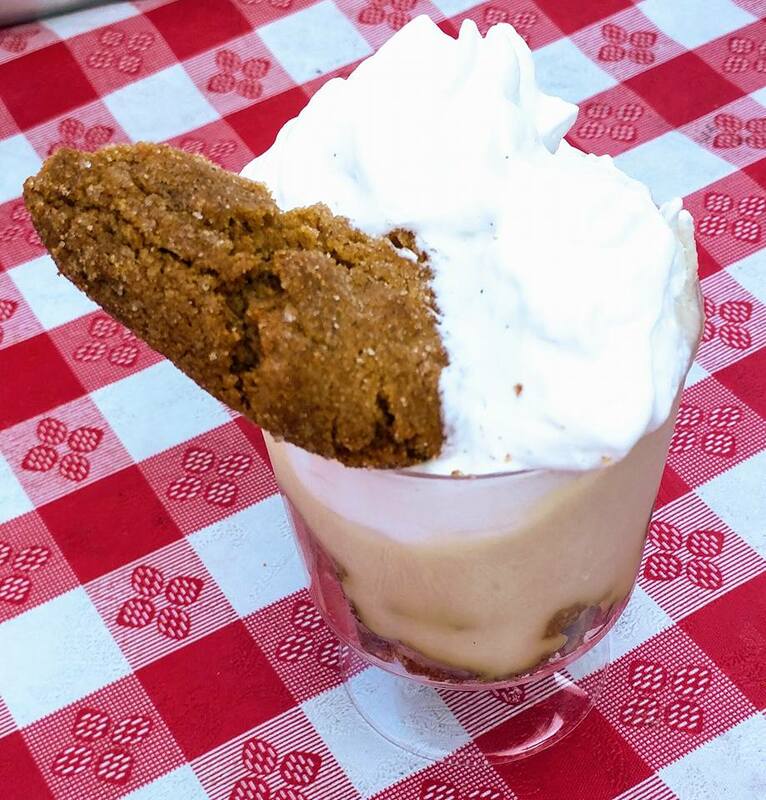 It was such a unique treat...gingerbread, pawpaw, whipped cream...and I'd order it again in a heartbeat. 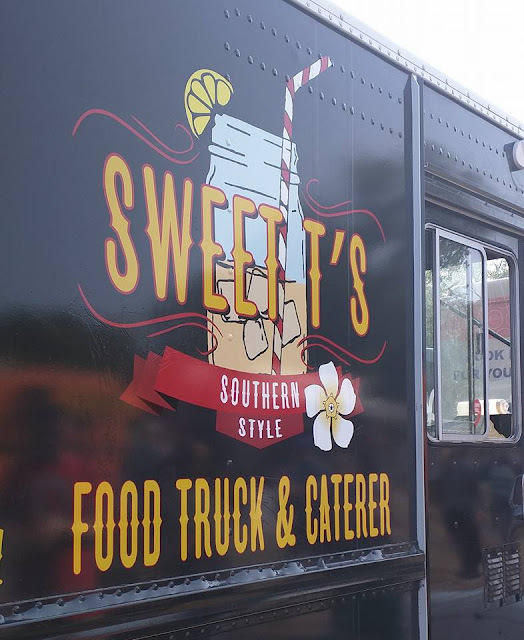 So, if you are ever in Ohio, and you have a chance to track down Sweet T's Food Truck, I highly recommend it. Their website can be found here. And don't forget to thank Sweet T's for doing their part in giving a traditional Appalachian foodway a "rebirth" in popularity! Now, back to my first ever venture into cooking with pawpaws! 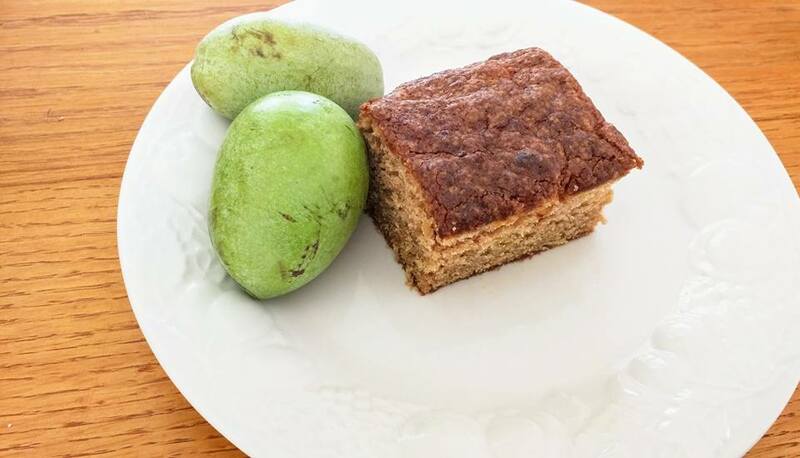 I decided to create a simple snack cake that would really allow the flavor of the pawpaw to shine without inhibition! 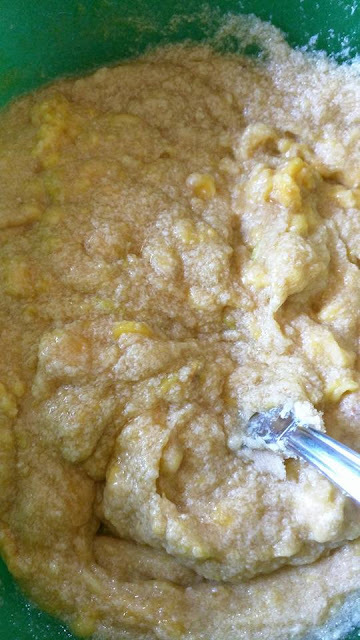 'Cause if you're going to the trouble to cook with pawpaw...it ought to taste like pawpaw! 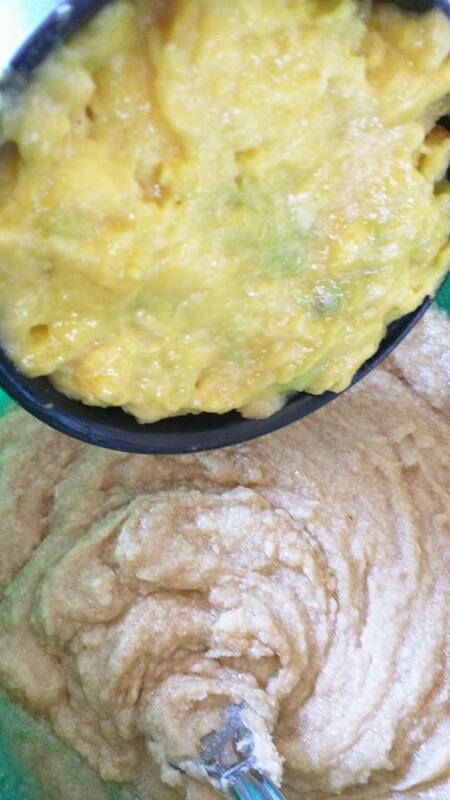 Afterall, getting the pulp from a pawpaw has its challenges, so you don't want all that work to be for nothing. 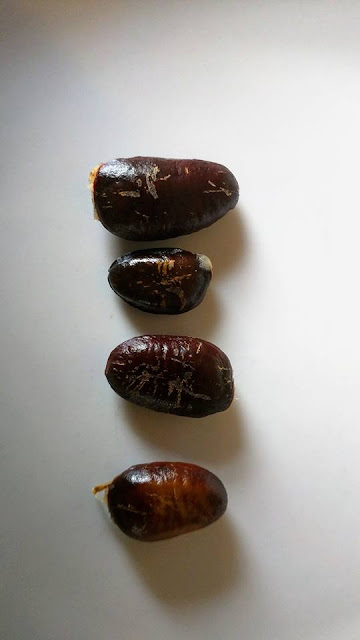 The custard textured fruit is really riddled with seeds throughout and separating the fruit from the seed takes a little bit of labor. But it's a labor of love well worth it if you are a fan of pawpaws! 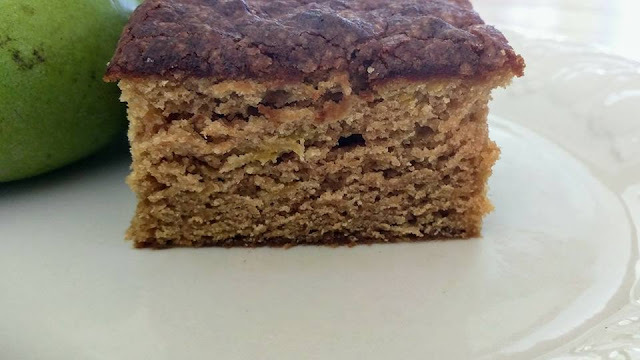 So, without further ado, here is my recipe for Pawpaw Snack Cake! 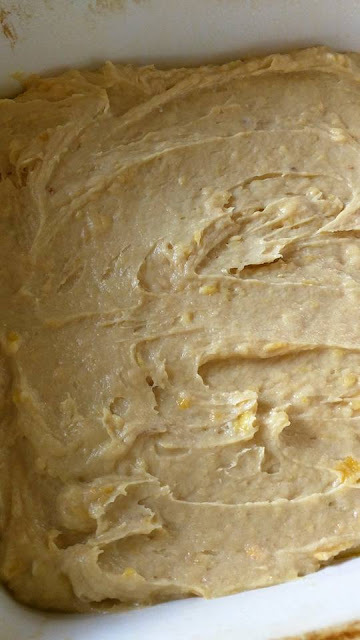 You will need somewhere in the ballpark of 12-15 pawpaws for this recipe, depending on their size. The ones I used were quite small, so you may need fewer if you are using rather large pawpaws. 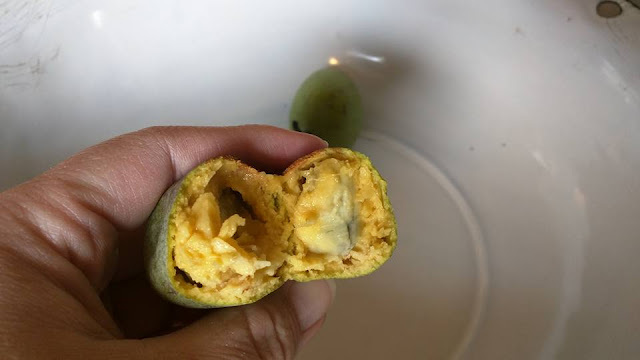 Cut open the pawpaws and remove the inner fruit, making sure to get out all the seeds. A spoon works well to scoop out the fruit. I know it ain't pretty, but I didn't want to be accused of lack of full disclosure! Grin! 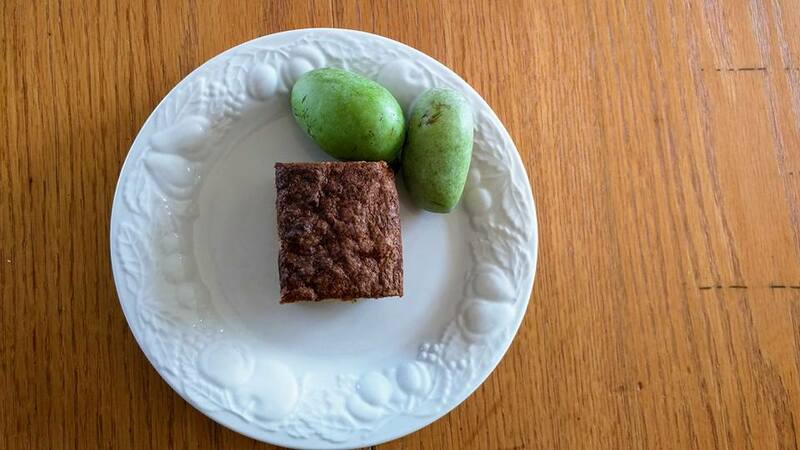 Once you have one cup's worth of the pawpaw, set this aside. 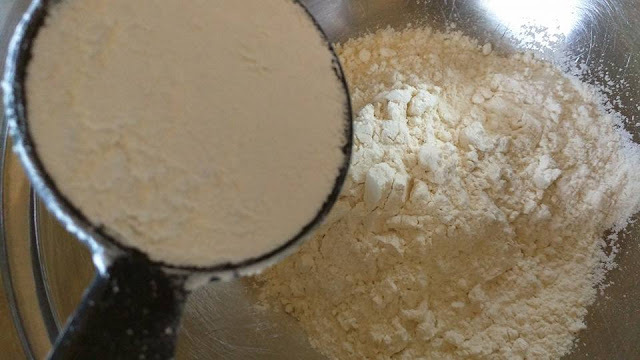 In a small mixing bowl, measure out one and a quarter cup of flour. 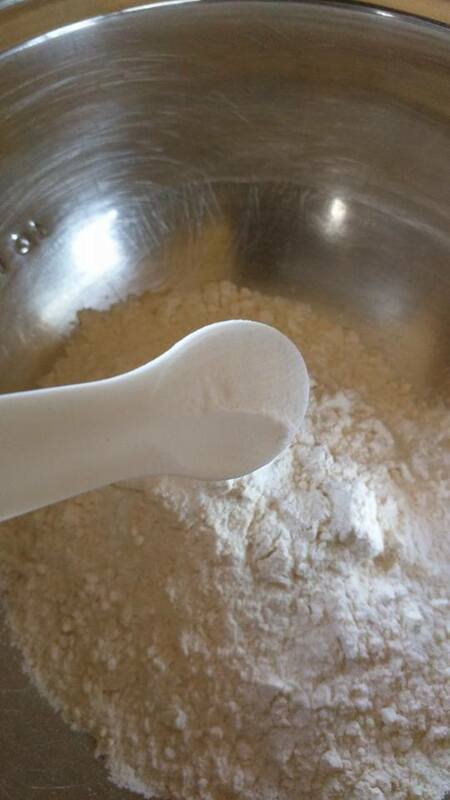 To the flour mixture, add a half teaspoon baking powder, half teaspoon baking soda, and half teaspoon salt. Stir all these dry ingredients together and set aside. In a medium sized mixing bowl, cream together a stick of softened butter with a half cup granulated sugar and a half cup packed light brown sugar until fluffy. Next, add in a half teaspoon vanilla extract and the cup of pawpaw. Mix well again. 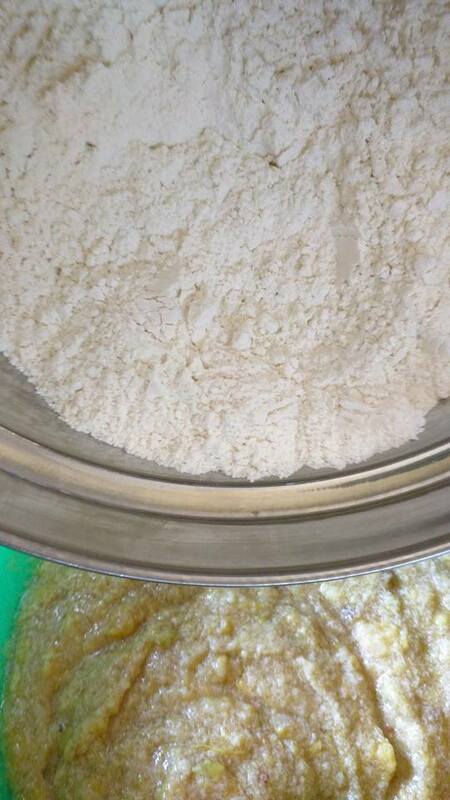 Finally, fold in the flour mixture until just incorporated. 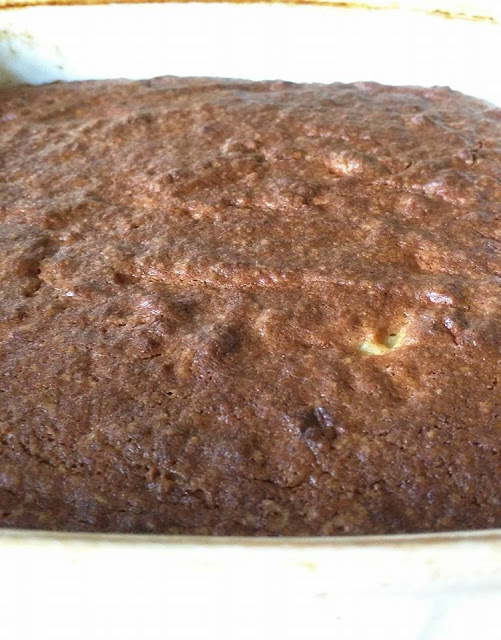 Bake the snack cake at 350 degrees fahrenheit for 35-40 minutes or until a toothpick inserted in the center comes out clean. I left my snack cake simple and rustic with no icing, because I really wanted that pawpaw flavor to shine through. But the cake would likely pair well with a simple vanilla buttercream or a light glaze. Alternatively, you could choose to serve it with whipped cream or a sprinkle of confectioner's sugar. 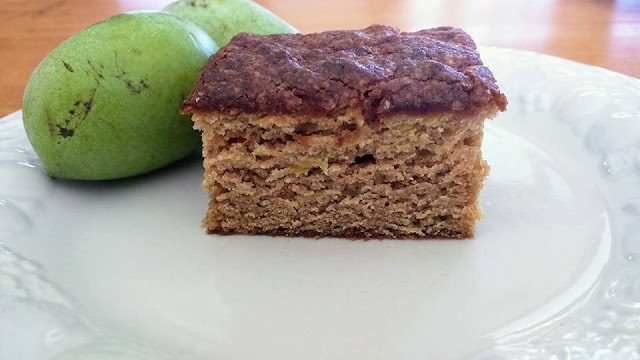 Anyway you choose to serve it up, I hope you find this snack cake a delicious reminder of what a unique treasure we have in traditional Appalachian Mountain foodways! In layman's terms...it's good eatin'! Preheat oven to 350 degrees. 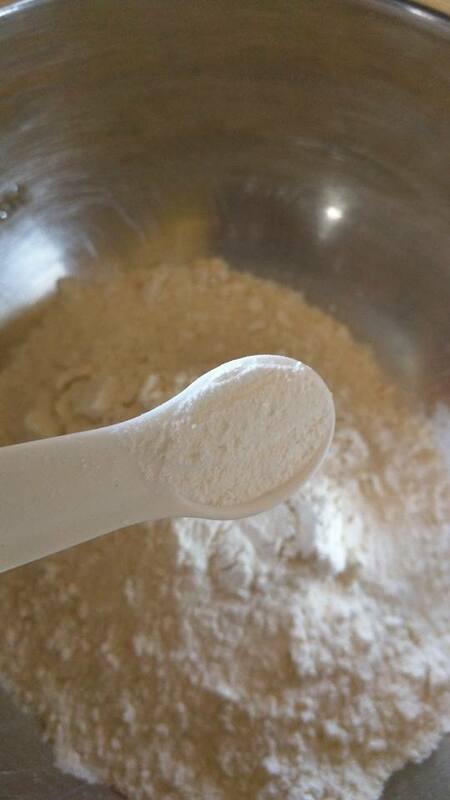 In a small bowl, mix flour, baking powder, baking soda, and salt. Set aside. 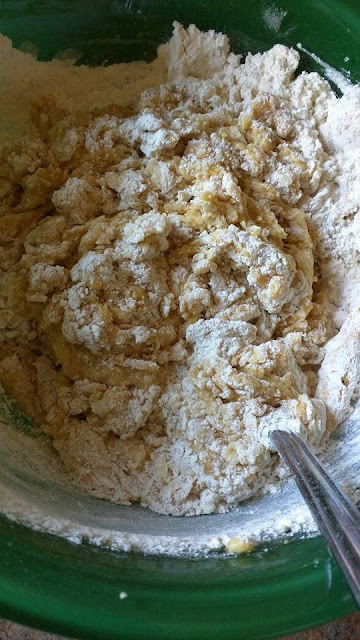 In a medium sized mixing bowl, cream butter and both sugars together until light and fluffy. 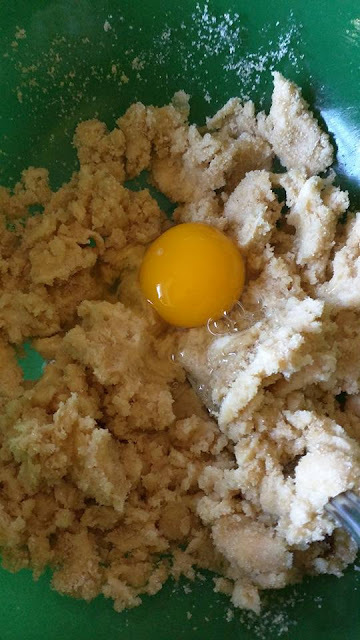 Add the egg and mix well. 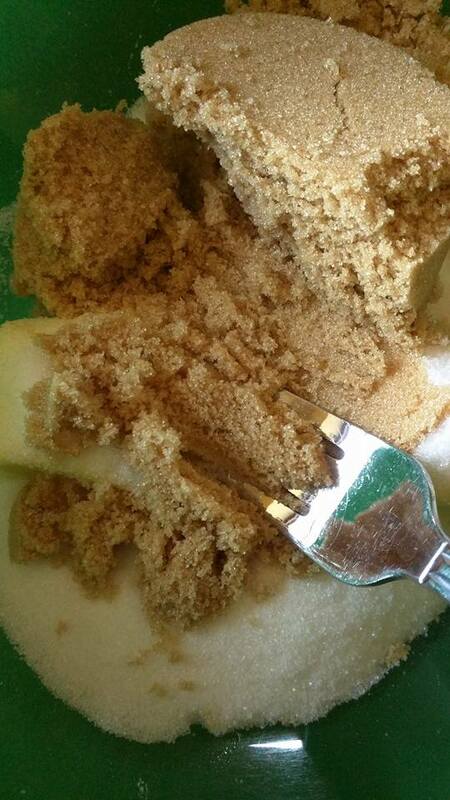 Add in vanilla and pawpaw and mix again. Now add the flour mixture to the pawpaw mixture and fold in until just combined. 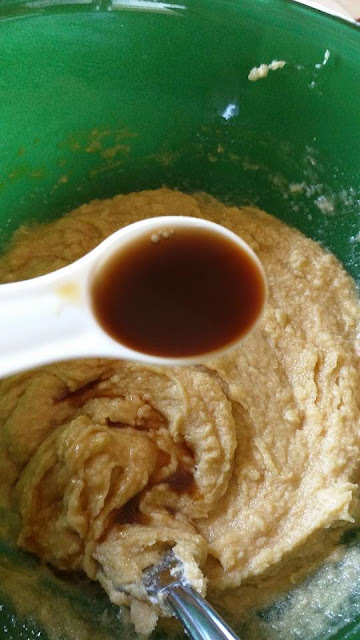 Pour mixture into a greased 9x9 pan. 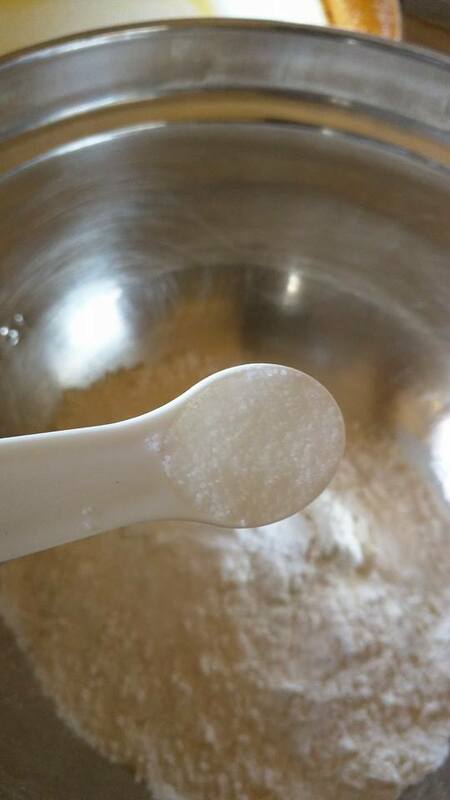 Bake for 35-40 minutes or until a toothpick inserted in the middle comes clean. Allow to cool before slicing. I enjoy your posts and reading about Appalachia. Thank you for sharing your story. 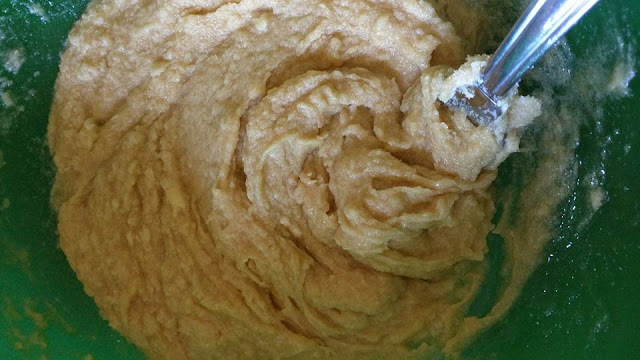 Have you ever been to the Ohio Pawpaw Festival in Albany, Ohio? It looks like a lot of fun. I am never in Southeastern Ohio around the time of the festival. I think there is a Paw Paw Farm around Athens, Ohio as well. You should visit Southeastern Ohio sometime, the people there share some of your Appalachian roots. Hi, Cindy! I have been to Southeastern Ohio many times! It's a beautiful place. 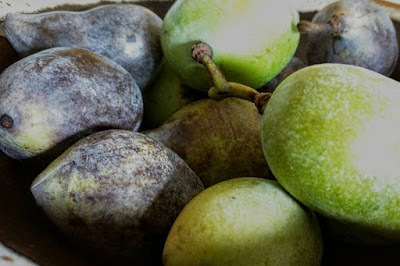 I have heard of the pawpaw festival, but have never made it down there for that. I will have to try to do that one year! So glad you enjoy the posts! Blessings to you and yours! Love your blog post and reading about your Appalachian roots and your parents. The only thing I knew about pawpaws before reading this is that they grow on a tree -- and I wasn't 100% sure of that. 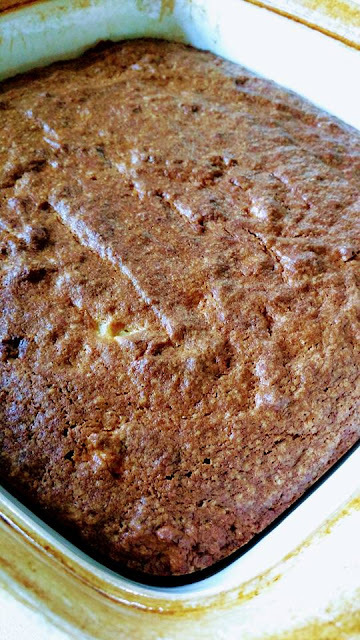 Your recipe sounds yummy! Hopefully, City Boy found his bravery and took a bite.